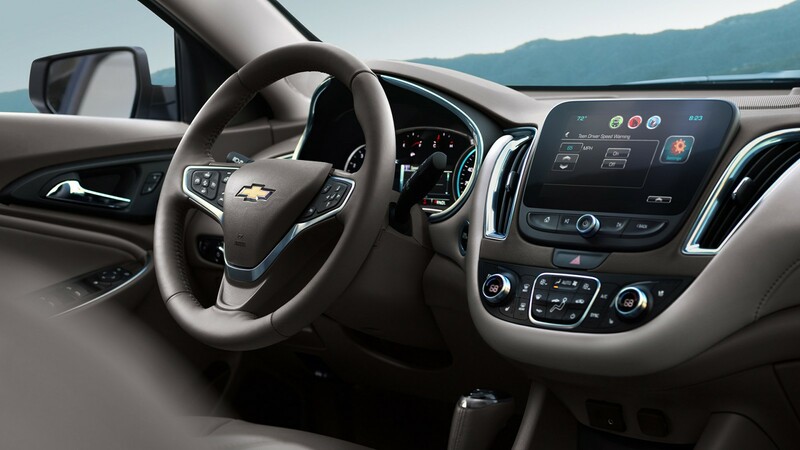 Both the 2016 Chevrolet Malibu and the 2016 Chevrolet Impala offer drivers in Glendale Heights and Bloomingdale the kind of versatility they’re looking for in a sedan. Either of these cars would benefit a small family, a commuting professional, or anyone who requires an effective daily mode of transportation. However, you probably only need one new car, which means you will have to pick one model or the other. Use this comparison guide to help you make the best choice for your wants, needs, and budget before picking one out at Sunrise Chevrolet! A complete redesign lead to the Malibu being more stylish, slightly bigger, and full of a lot more technology. Three powertrain options allow drivers to focus on power, efficiency, or a blend of both. Advanced safety features help drivers avoid roadway hazards rather than simply survive them. A roomy cabin and spacious trunk make it easy to haul both people and cargo alike. The available V6 engine puts out more than 300 hp. Luxury features come standard on the high-end trims. Between these two sedans, you have a lot of powertrain options to consider. The 2016 Chevrolet Malibu comes standard with a 1.5L four-cylinder that puts out 160 hp and 184 lb-ft of torque. If you require more power, a turbocharged 2.0L four-cylinder is also available, boosting power ratings to 250 hp and 258 lb-ft of torque. And if efficiency is more your priority, there is also a hybrid option available that gets an estimated 48 mpg city and 45 mpg highway. Performance is more the name of the game for the 2016 Chevrolet Impala. The standard engine is a 2.5L four-cylinder that produces 196 hp and 186 lb-ft of torque. If you really want to rule the road there, is also a 3.5L V6 available the boosts power to 305 hp and 264 lb-ft of torque. That car can sprint to 60 mph in 6.4 seconds. Neither too big and bulky nor too small and cramped, both these sedans make smart use of space. The 2016 Chevrolet Malibu is the smaller of the two, but it still offers 102.9 cubic feet of passenger volume and can comfortably accommodate five adults. The trunk also offers a generous 15.8 cubic feet of space in conventional gas configurations, which is more than enough for the average trip. Meanwhile, the 2016 Chevrolet Impala provides a little more room to stretch out, which is great if you spend a lot of time on the road. Passenger volume measures at 105 cubic feet, and the trunk hits18.8 cubic feet. I you need even more room you can put the 60/40-split rear seat down and accommodate longer, bulkier items. Chevrolet is revolutionizing the industry in terms of automotive technology, and both of these models come packed with intriguing features. For instance, almost every version of the 2016 Chevrolet Malibu comes with a rearview camera, an infotainment interface, and unique equipment to help you monitor teen driving habits. Plus, all models offer 4G LTE W-Fi coverage with access for up to seven devices. The 2016 Chevrolet Impala even takes things a step further. The base trim has satellite radio, Bluetooth phone and audio connectivity, and an eight-way power-adjustable driver seat. Moving up the trim ladder, you will also find app integration, advanced navigation, wireless cell-phone charging, and an 11-speaker Bose stereo. Check out the impressive interior features of the 2016 Malibu. Your decision to pick one car over the other really comes down to budget. 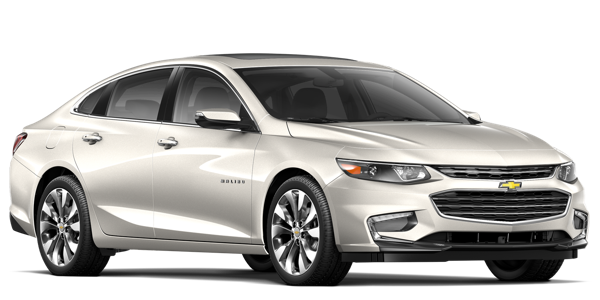 The 2016 Chevrolet Malibu is the less expensive of the two, and since it has a hybrid configuration, it can help you cut down on your gas bills month in and month out. 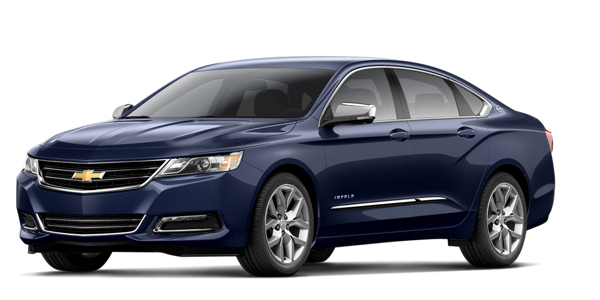 The 2016 Chevrolet Impala, on the other hand, costs more, but for that extra investment you get more power, more space, and a longer, more impressive list of features. If you need more information before making a decision, why not tour and test-drive both cars at Sunrise Chevrolet? We are 10 minutes from Bloomingdale off of Glendale Road at 414 North Ave. in Glendale Heights, IL. Please contact our Chevy team to ask questions or to schedule an appointment.